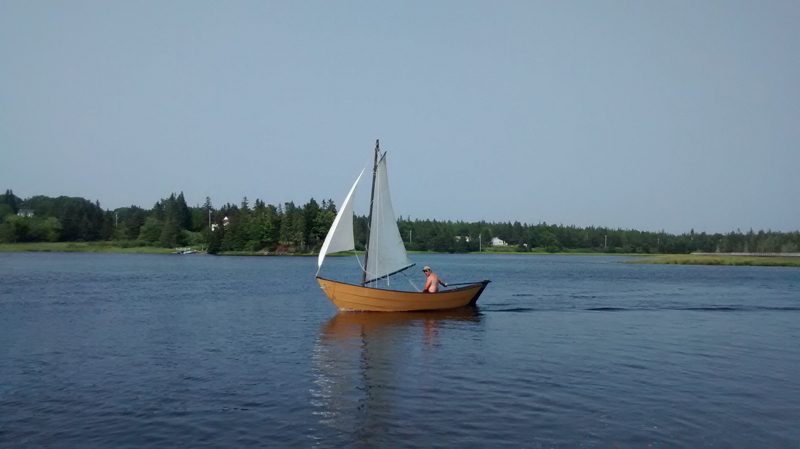 I built this dory thirteen years ago, beginning the year my son Aiden was born. I cut the first boards the weekend before his birth. I think it would take about a hundred hours to build this, maybe something like that, but it took me over a year with my first kid. That was probably a bigger challenge than building a boat. It was finding the time. I use it mostly for pleasure, with a little hunting and fishing as well. I built it cheap, maintain it cheap, and just have fun with it. It’s named Buzz Bomb II from a Dead Kennedys’ album. It’s about a stolen car, called the Buzz Bomb. I still like the song. It’s classic punk rock.